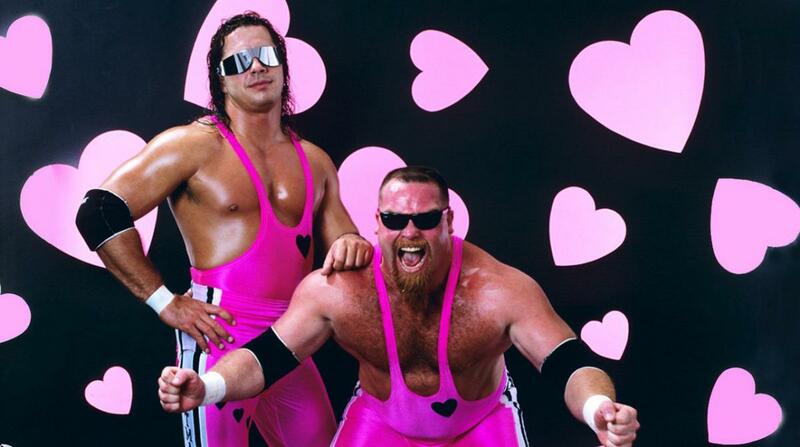 The Hart Foundation will reportedly be inducted into the WWE Hall of Fame class of 2019 – AiPT! Bret and Jimmy will join elite company as two-time WWE Hall of Famers. One of WWE’s most popular tag teams of the 1980s and early 90s will go into the WWE Hall of Fame, class of 2019, according to PWInsider. While the Hart Foundation had many incarnations throughout the years, the original version — consisting of Bret “Hitman” Hart, Jim “The Anvil” Neidhart, and Jimmy “Mouth of the South” Hart — will be the one inducted. Under the Hart Foundation name, Bret Hart and Jim Neidhart were two time WWE Tag Team Champions, defeating The British Bulldogs and Demolition. This will make Bret and Jimmy Hart two-time WWE Hall of Famers, joining Ric Flair as the only personalities to accomplish the feat. Ric Flair was inducted as an individual in 2008 and as a member of the Four Horsemen in 2012. Jim “The Anvil” Neidhart passed away in August 2018. He was survived by his wife and daughters, including current WWE Superstar Natalya.